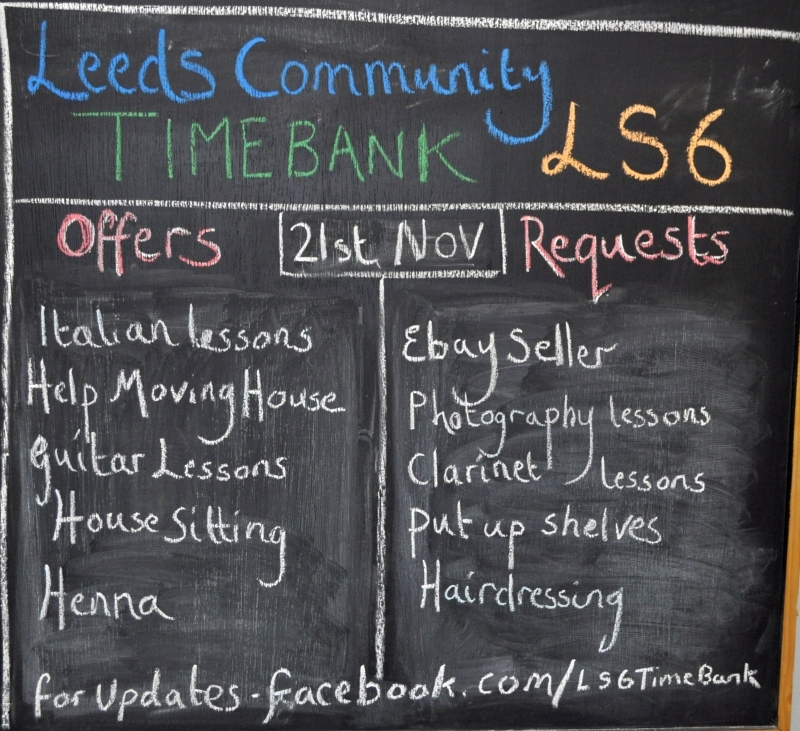 Each week new people offer their skills to the LS6 Timebank and the latest offers and requests are added to the board. This entry was posted in Timebank by Paul Magnall. Bookmark the permalink.